Crafted from cast stone with a black fossil stone top, this fireplace, with its gorgeous detailing will be the perfect compliment to any living area. The firebox is 30 inches and features an on / off remote control with a thermostat, timer, and two stage heat control. All the realism of logs with flickering flames, soft glowing embers and a natural inner glow combine with an energy efficient, safe unit that can be added to any room, office, or bedroom with a standard household electrical plug. It is extremely economical in that it operates for pennies an hour, has no carbon monoxide or emissions from combustion, no cleaning required, and includes an impressive THREE YEAR WARRANTY with in Home Service. Can be installed in any room that has an electrical outlet. Use all year round, with heat turned off. What color best describes this fireplace? In one picture it looks more like a light beige color. In the other it looks like more of a golden color. Thanks for the information. 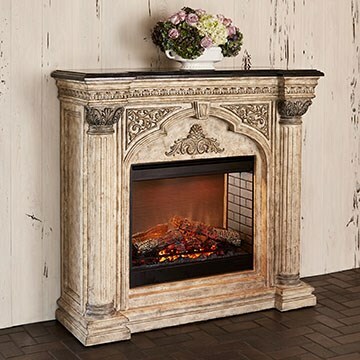 I would describe the fireplace as having an ivory off white finish, with some rustic earth tones which include a mix of grey, beige, and other beautiful medley of colors. Why is the 73" more a higher price then the 57"? I can not fit the wider one in the spot I need to put it,thank you. 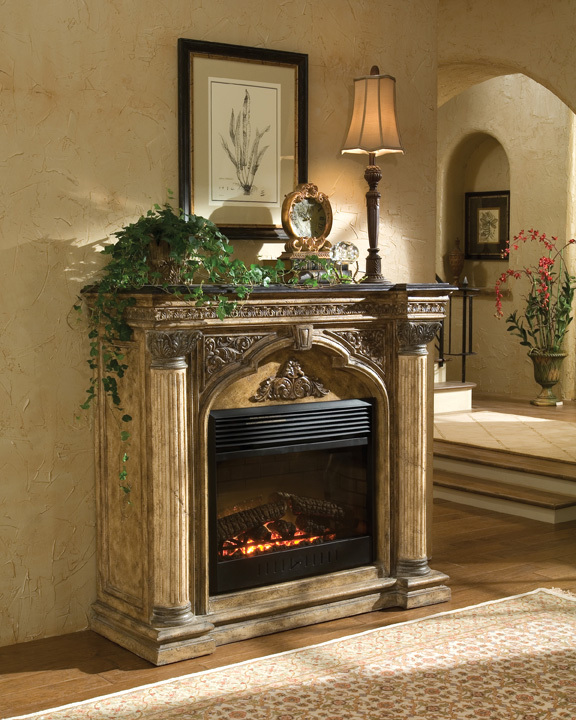 One model includes the electric fireplace, it is a complete package (the 57" size) hence it is more expensive. 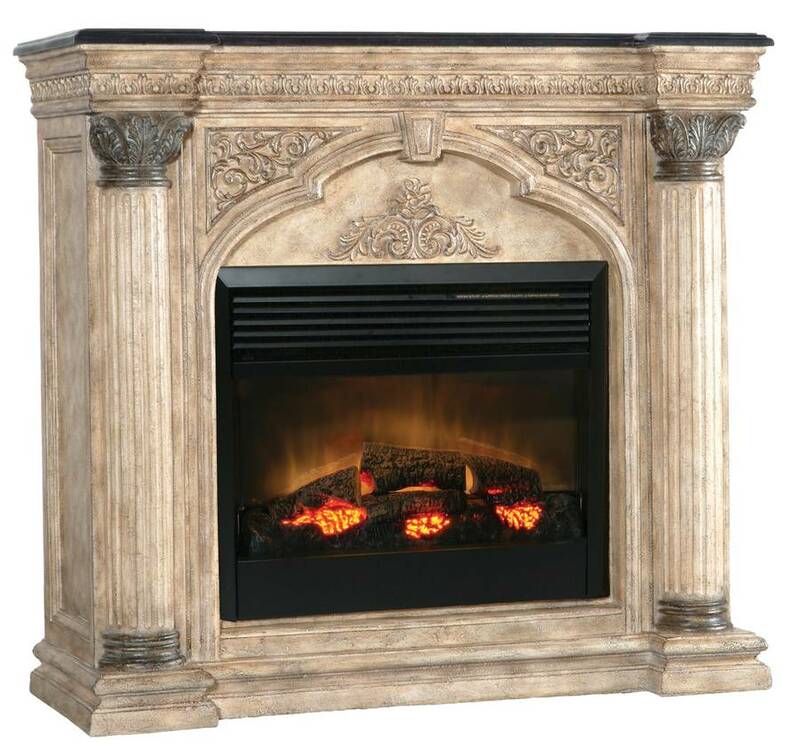 The 73" size is just the trim piece designed to go around an existing fireplace - no electric fireplace insert included. Please look at the detailed images on both product listings in order to get a better idea of the key differences.